Whether you are a Lacrosse midfielder, defender, attacker, or goalie, you need the Athletico Lacrosse Backpack to haul your gear to and from practice, games, and tournaments. 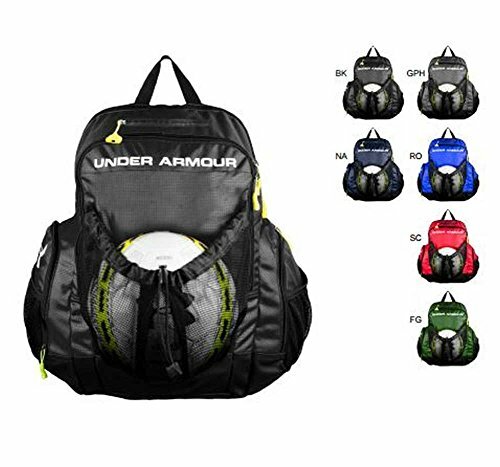 The Athletico Lacrosse Backpack will fit all your Lacrosse equipment, including 2 lacrosse sticks (all sizes), helmet / face mask, shoulder pads, arm / elbow pads, gloves, goggles, cleats & MORE. Product Features: XL capacity main compartment 2 LAX stick holders Isolated & vented cleats compartment Bonus pockets for balls / gloves Double adjustable straps to hold helmet Reflective safety accent Durable, water-repellent fabric Fence hook, locker loop Ergonomic backpack straps & air mesh padded back with adjustable sternum strap and hip belt Made with durable, high density nylon and polyester, the Athletico backpack will serve you through many seasons, in all weather conditions. 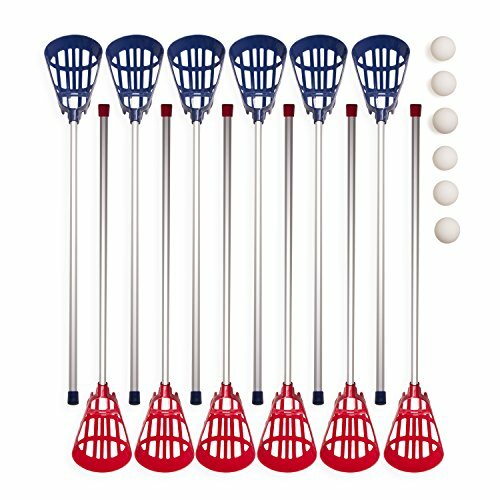 XL SIZE WILL FIT ALL LACROSSE EQUIPMENT - Can fit 2 lacrosse sticks (all sizes), helmet / face mask, shoulder pads, arm / elbow pads, gloves, goggles, cleats & MORE. 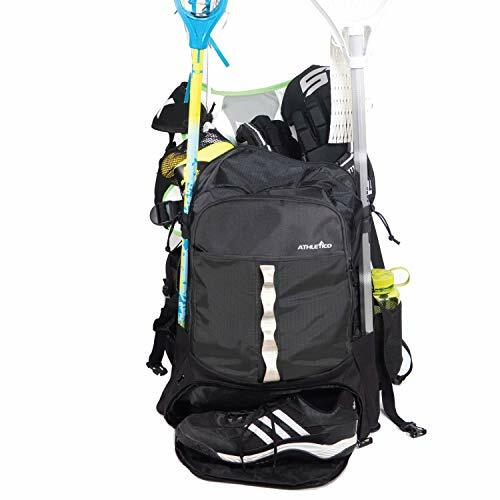 PERFECT FOR OTHER SPORTS - While built with lacrosse in mind, this multi-functional backpack is also perfect for field hockey, football, and more! 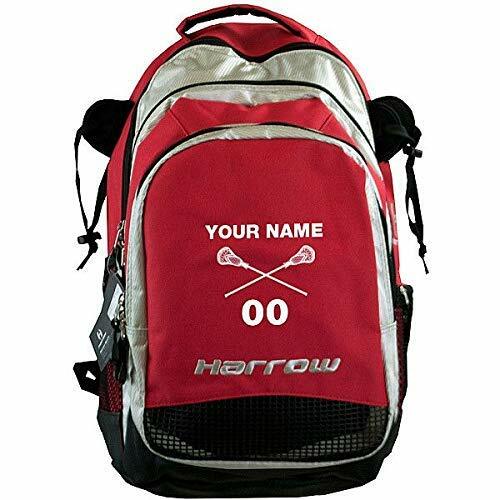 BACKED BY THE ATHLETICO 100% SATISFACTION GUARANTEE - If your are not satisfied with your new Athletico Lacrosse Bag for any reason, simply let us know and we'll make it right! Hero2.0 is inspired by players seeking greatness. Now more than ever, you demand more from your pocket. That's why we are introducing ZoneTech (TM) which is designed to give you the increased Accuracy, Consistency, and Control you need Game after Game! ZoneTech (TM) Outside: The side feature Innegra, the lightest fiber in the world, which is less elastic than our LTH Fiber is the original HeroMesh. 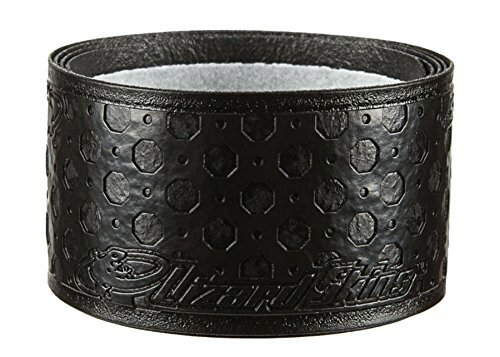 These rigid fibers funnel the ball into your channel and provide a lighter, more consistent pocket that will bag out less over time. Channel: The channel features our LTH Fibers, which are strategically placed to provide the soft touch and responsive feel you rely on when the game is on the line. No set of women's lacrosse equipment is complete without the proper stick bag to carry lacrosse sticks, goggles, mouth guard and other essential and personal items. The STX Lacrosse Essential stick bag is the perfect bag for the female lacrosse athlete. With enough room for three sticks and other necessary game gear and personal items the Essential stick bag is a utilitarian and stylish way to take the field. 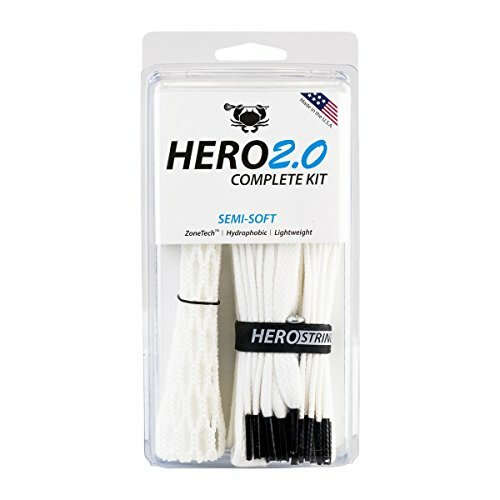 HeroMesh was engineered to provide players with the ultimate level of feel and control. 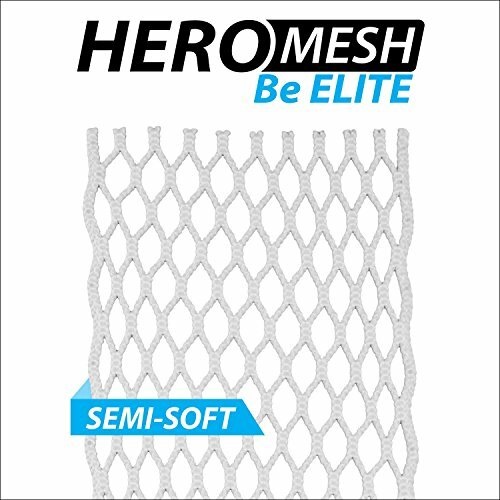 By combining East Coast Mesh's new LTH Fibers and HyperWeave technology, HeroMesh make a super lightweight mesh with all-weather performance. Now it's your turn to Be ELITE. 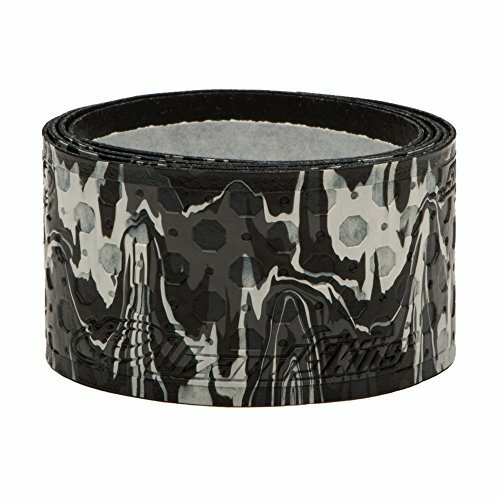 HeroMesh LTH Fibers are fully weatherproof. They will not expand or contract in extreme heat, extreme cold, rain, or snow. HyperWeave is East Coast Mesh's super tight knit pattern, which creates perfectly shaped diamonds and adds texture for increased feel and control. LTH Fibers are extremely lightweight (25 grams)and durable. This translates to increased feel and faster shots, without compromising strength. HeroMesh was engineered with a semi-soft feel to provide maximum control with a smooth and accurate release. Large pack with zippered main compartment. Outer mesh pocket is large enough to hold a ball. Adjustable, padded shoulder straps. Zippered side organization pockets. PTH plaid lining. Nylon/Polyester. Imported. 19 x 8.5 x 16. OFFICIAL SIZE GOAL This 6 x 6 foot lacrosse goal is a great piece of gear for elementary, middle school, high school, and college players. Professional level stability ensures that this high quality net stays put during intense gameplay. 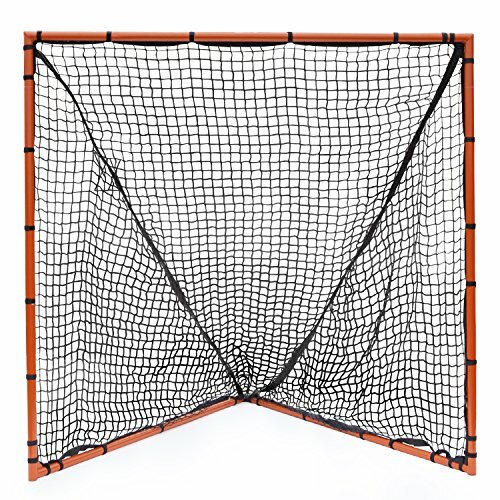 With a reliable build that stands up to powerful offense and a highly visible orange, 1.5 inch steel frame, this goal is perfect for at home practice. For stronger players, just add a high durability Champion Sports net. STURDY AND DURABLE Weatherproof 1.5 inch steel frame tubing and a sturdy, triangular steel ground bar make the Champion Sports Backyard box goal super stable, durable, and suitable for both indoor and outdoor play. The goal frame includes integrated velcro straps for simple net installation, keeping the net securely in place and allowing for easy take down of the goal and quick net replacement. FOR ANY SKILL LEVEL Champion Sports goals, nets, and lacrosse equipment are used by beginner, intermediate and advanced players. The Champion Sports Backyard goal is great for young players who are just learning the game, older players who want a place to practice at home, and active families who want a high quality, all purpose backyard goal. SHOOTING PRACTICE Drill corner shots and practice shooting power with a sturdy goal structure that can take tough love and offensive rage as young athletes grows in strength and ability. The practice goal is official size for recreational use and at home training. 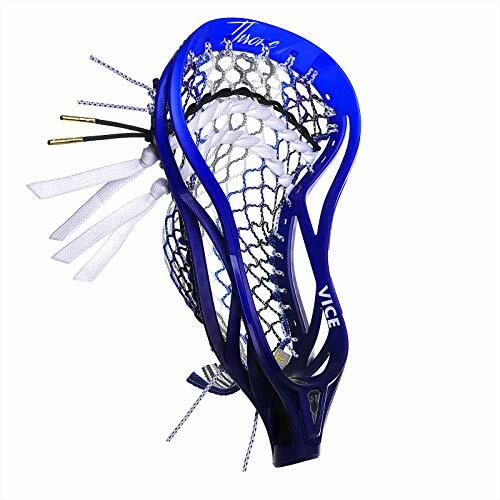 MAKE IT A GIFT Lacrosse accessories and sport training tools are great gifts for active men and women, sports loving families, athletes,league coaches, and enthusiastic young boys and girls working on their skills. Give the gift of an active lifestyle with this at-home goal. 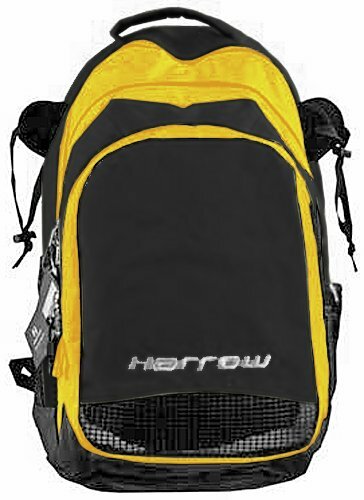 The Harrow Elite Backpack is perfect for any multi-sport athlete on the go. With three (3) large zipper compartments and a cushioned mesh backing to comfortably store all of your gear. A stick holder on each side allows you to be hands free and carry your field hockey or lacrosse sticks. Durable nylon stick bag holds up to three sticks so you always have a back-up. The perfect backpack to fit all of your lacrosse equipment and keep you on the go available exclusively from Lacrosse Unlimited. 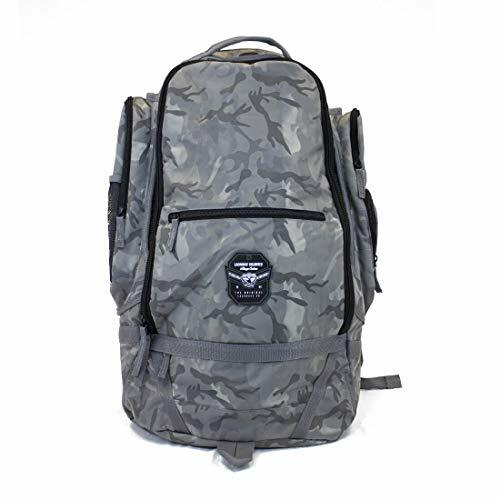 This lacrosse equipment backpack features a camo pattern adding style to you practice and gameday accessory. Limited edition Throne Lacrosse Vicepack to celebrate the fun of summer and the memories it makes. This pack is all about enjoying the warm weather and there is no better way to do that than beach lax.